Our skin is the one which makes us look good. If we speak scientifically skin is the layer which protects our body externally from harmful climate. But when we talk about skin normally it is that part of our body for which we care the most. 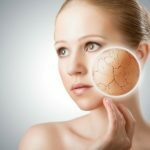 People having dry skin have to face many kinds of problems! Such as itchiness, cracks in skin, rough skin texture and many more. 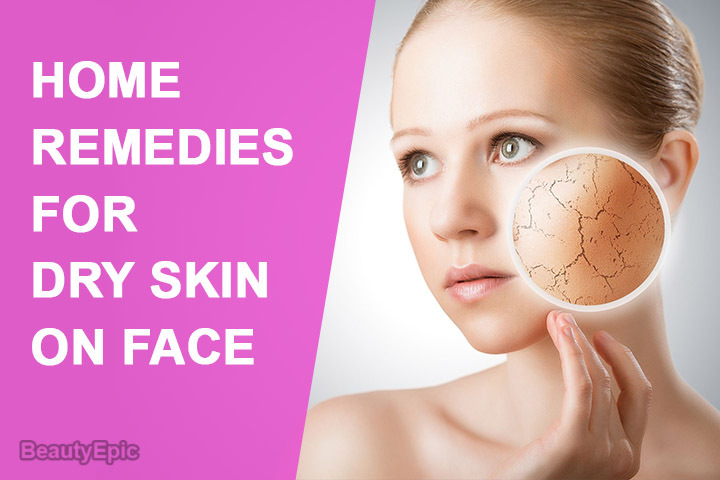 In this article you will be known some very effective home remedies for dry skin on face that can be done itself to cure the problem. Usually chemical based lotions are not sufficient to help you cure the dry sin problem you need to something extra to get flawless soft and beautiful skin for yourself. Olive oil is easily available oil! This oil is more effective if it a pure one! Use the oil in the prescribed manner. Olive oil is known to contain many type of antioxidants and healthy fatty acids that are really very good for your skin to recover from dryness. It can also help to soothe the condition of dry skin at all the parts over your body. 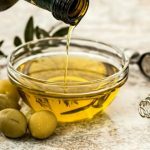 You just need to dab a good healthy layer of extra virgin olive oil to your body or under your regular moisturizer that you use daily after bath. Then About a half an hour of before taking a daily shower you need to rub some olive oil on your hands, legs or the whole body with dry skin and then massage it lightly. It’s good to take a shower and then apply a light refreshing moisturizer to the body. Milk cream is again a natural product that you can get easily and use the same to help you cure the dry skin naturally. The reason behind milk being so powerful is that it contains lactic acid that is present in milk cream and this in turn helps to exfoliate the dry skin. The soothing nature of milk cream is the best part to use it! It will also refresh and re energize your skin cells. The milk cream will also help to preserve the skin’s most delicate pH levels. If you want to use a good moisturizer then use “Milk cream” as it is also an excellent moisturizer. Using just milk all alone is also enough to treat with dry skin texture! Milk has all kinds of anti-inflammatory and soothing properties. 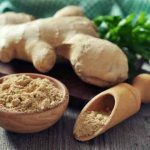 These properties are greatly helpful to get rid of dry and itchy skin. Plus, the lactic acid that is being present in milk in good amount will help to exfoliates dead skin cells and this in turn will increase all the skin’s ability to retain moisture content. Also milk helps to lighten your complexion and makes you look fairer. If you have rose water then add few drops of rose water with some lemon juice to about four to five tablespoons of milk. Then gently rub this solution all over your body of the dry skin. Then you must wash your body with cold or normal water. Well, who does not love honey! In fact honey is such a sweetener that tastes sweet but is not sugar based. In other words it is a sweetener with no tension of weight gain1 well accept being a good and delicious treat honey is also a very effective agent to treat your dry skin from the root itself. As discussed above, that honey is being considered one of the best and very effective and powerful natural moisturizer that is fully loaded with antioxidant and powerful antimicrobial with humectant properties. Thus, honey will help lock up all the moisture in to your layers so as to make your skin extra soft, supples and smooth. Plus, honey will have many essential and powerful vitamins and minerals that will fully help in improving your skin’s health. There are certain ways by which you may use honey. Then you must leave it on to your body for 7 to 10 minutes. Repeat this almost daily to enjoy well-moisturized skin. To prevent yourself from mosquitoes it’s better to apply it in your bathroom itself and then take bath there itself. Take some equal parts of unprocessed honey some beeswax and olive oil. Then melt the beeswax in a small pan preferably over low heat. Then you must mix in the honey and then the olive oil. Then you must apply this mixture all over your body and do the same as above. This is again a form of milk only! Yogurt being a bit sour in taste therefore the effects of treating fry skin is more power full! Do you know that yogurt contains strong oil kind of content in it! If you have ever washed your hair with it you will find that your hair gets oily if you do not shampoo your hair afterwards! Yogurt has powerful contents to irradiate dryness. Yogurt hydrates the skin in very excellent and power full manner. Plus, yogurt has all antioxidant and anti-inflammatory properties. The properties will help soothe dry and itchy skin. You need to apply some freshly made yogurt on your hands and face and legs also then gently massage the yogurt into your skin. Leave the magical paste on for 10 minutes and then take a bath or shower.